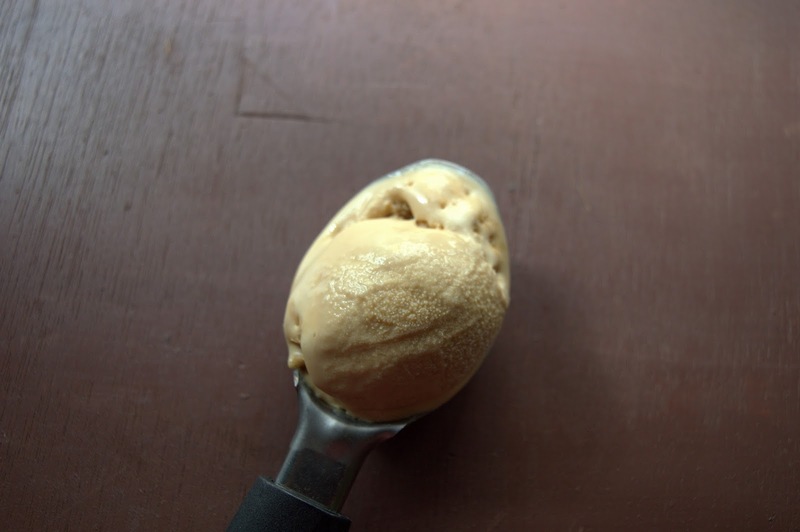 Last week my son ask for some homemade ice cream at once I decided to make this coffee ice cream which was in my do to list for a long.Another reason was that I was left with tetra pack of cream which was nearing expiry date so with no second thought I made this.I simple used my eggless mango ice cream recipe method for this. 1.Dissolve coffee powder in warm water. ( this step is purely optional,you can directly add the powder also). 2.In a blender add in cream,condensed milk and coffee solution.Blend it well till forthy for 1-2 minutes. 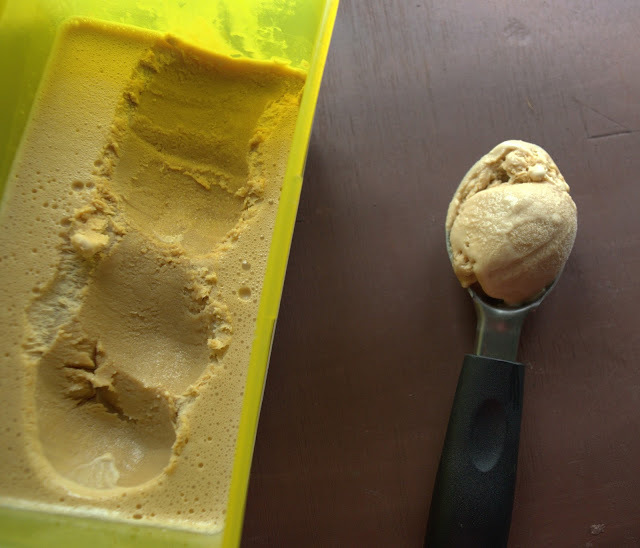 3.Pour it into a freezer safe bowl and freeze it over night or for 8 hours.That it ,your ice cream is ready. Scoop out and relish it. Make this and enjoy the week end. 1.Here i have used low fat cream but you can also use heavy cream.